October was a fun and busy month for the Millers. 2 birthdays and Halloween, not to mention pumpkin carving and other Autumn activities. Here's a slice of our October life, 2012. Happy birthday to the man of my dreams! Gemma helps stencil her pumpkin. Time for Gracie's birthday party with friends--Hula style. Pin the coconut on the coconut tree. Sand art bracelets for Gracie and her friends. 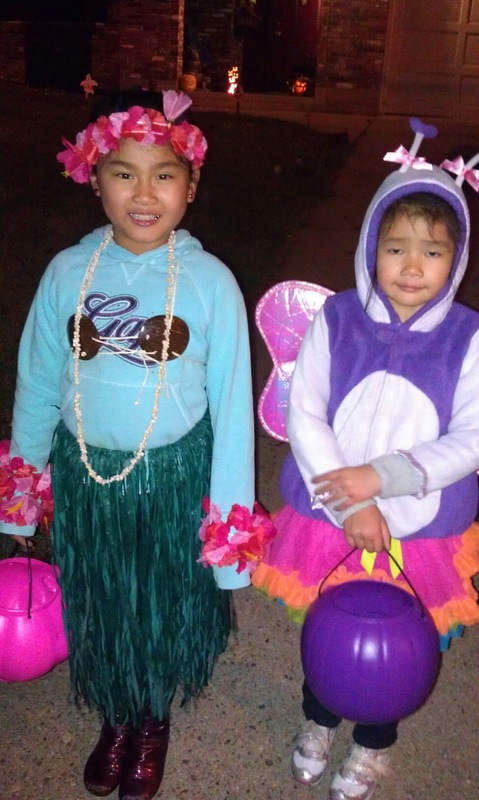 The Hula Girl and the Butterfly go trick-or-treating. Looks like October was awesome! Happy belated birthday Gracie & Simon!